Life is not measured by the amount of breaths we take or the things we possess. To truly live, you must live for every moment, and fulfill every dream. That is just what Katy Slayton did; she lived. Katy brought life to everything and everyone she encountered. Her vibrant personality and tenacious attitude were the bricks that laid the foundation to her success. Sweet Katy was faced with many obstacles from a young age, but nothing could stop this determined child from becoming the strong woman we loved, and one of the greatest people to have ever lived. As a young child, Katy underwent ongoing surgeries to relieve the pain and discomfort of scoliosis. The surgeries continued throughout her childhood, but through each surgery, Katy arose even more determined. God threw many obstacles at her, but with each hurdle, Katy’s perseverance grew stronger, and her purpose grew greater. Katy’s life blossomed in 2004 when she and Chad began their life together. There was no adventure too out of reach for these two. Exploring the far corners of the Earth together, Katy and Chad defined love and dedication. 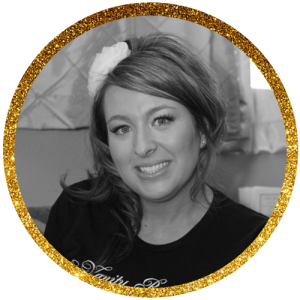 As a young adult, Katy found her love of work in esthetics. She got her start in lease stations, and began crafting her skills and touching the lives of every client she encountered. Her determined attitude led her to aim high, and in 2008 opened her beloved shop, Vanity Room Waxing Boutique. Katy’s love for helping others is still felt when you walk in the doors of Vanity Room. Her goals for her business were achieved with her staff of world-class estheticians, who continue to provide wonderful customer service. Our salon donates a large portion of our profits every June (Scoliosis Awareness Month) to Texas Scottish Rite Hospital, the hospital that helped Katy multiple times as a child. Though Katy passed in October 2016, her love, determination, vibrancy, and resilience can still be felt by her clients, friends, and family. Her passion for beauty and lust for life made Vanity Room Waxing Boutique the place it is today.